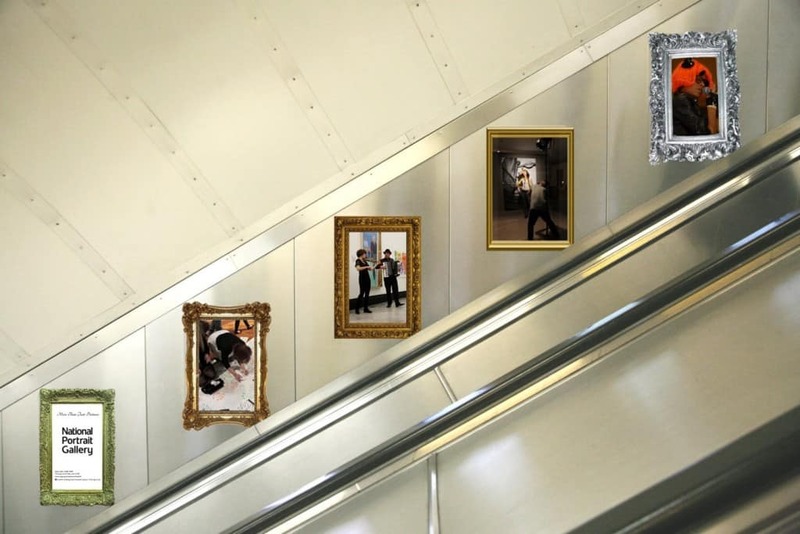 This classy and well-placed ad gives customers a small glimpse of what they can expect at the National Portrait Gallery. The escalator has been painted in such a way so as to make it feel like one giant licorice fruit wheel. Simple and extremely effective! This is one of those ‘Duh’ moments, when you wonder why no one has thought of it before. 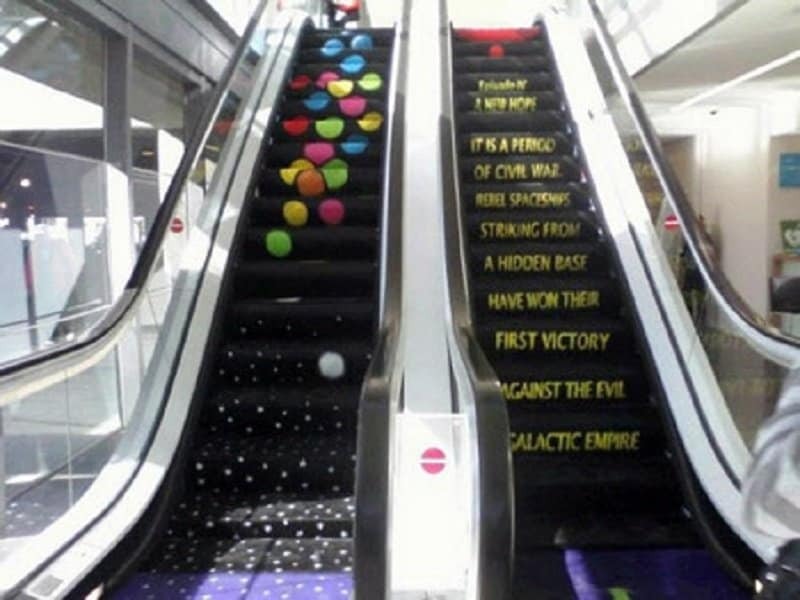 Putting the opening monologue of ‘Star Wars’ on an escalator going up is simply genius. 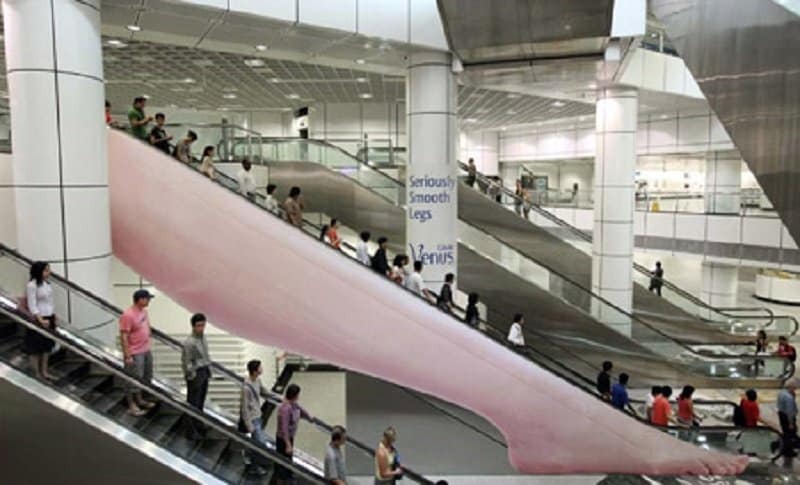 This escalator ad for Gillette Venus makes it look like you are sliding down a really smooth leg when you have a side-on view. DHL has always been great with their advertising. 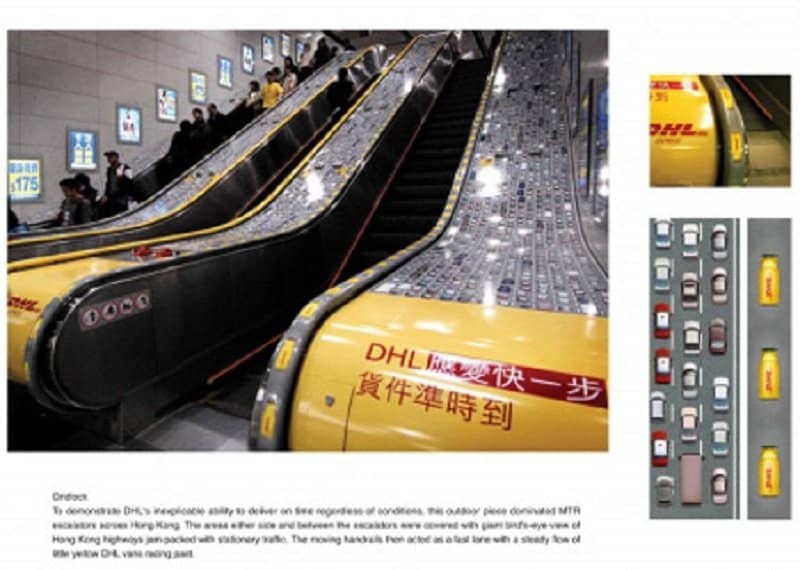 This genius escalator campaign run in Hong Kong makes it look there is a huge traffic jam piling up on the streets, while DHL trucks have a separate lane signified by the hand rails. I personally feel that if you are ‘The Simpsons’, you don’t need advertising. Since they did feel the need to promote the movie, they decided to go with a creative direction that looks and feels exactly like what you would expect from ‘The Simpsons’. 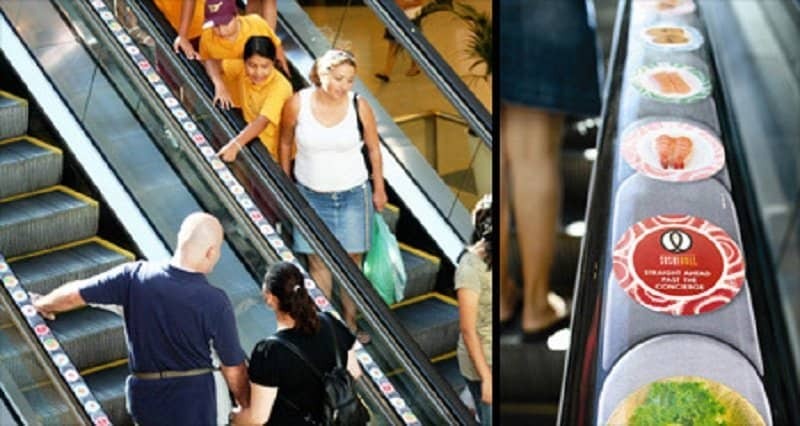 Coke decided to run this simple but sensible escalator ad campaign. 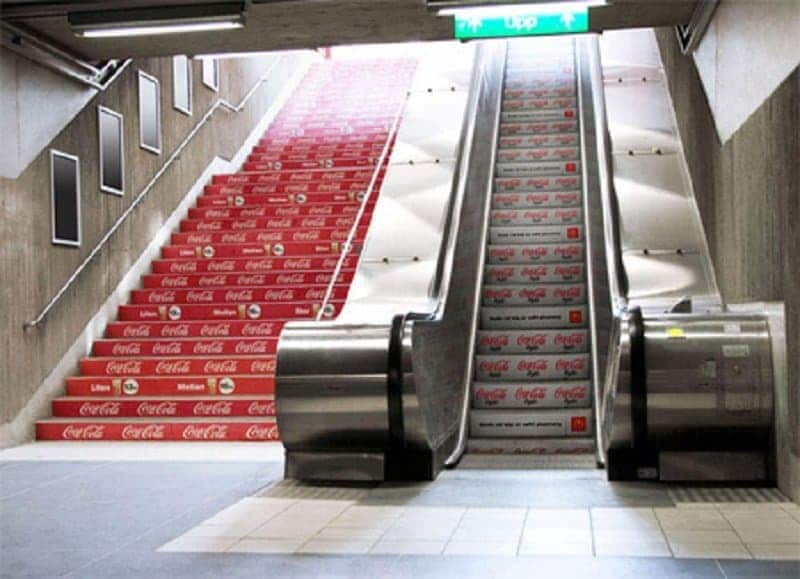 They put up the coke lite on the escalator, and the regular coke ads on the stairs. 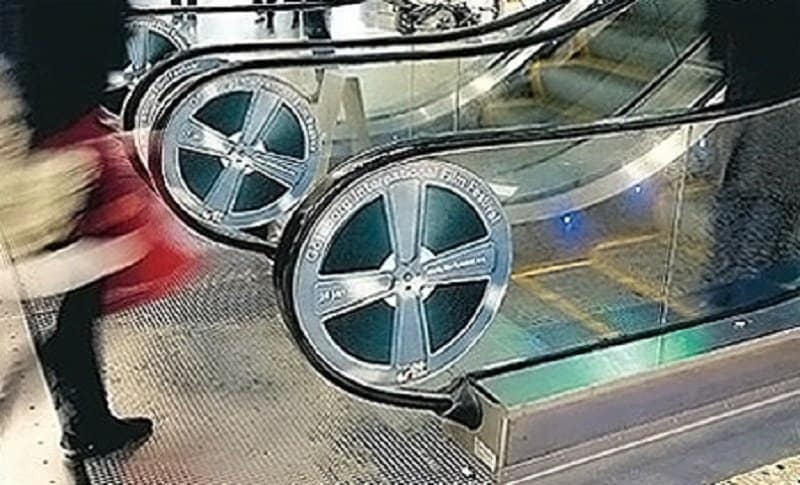 This film festival organized in Germany decided to make the escalator rims look like film reels to increase curiosity and promote the festival. 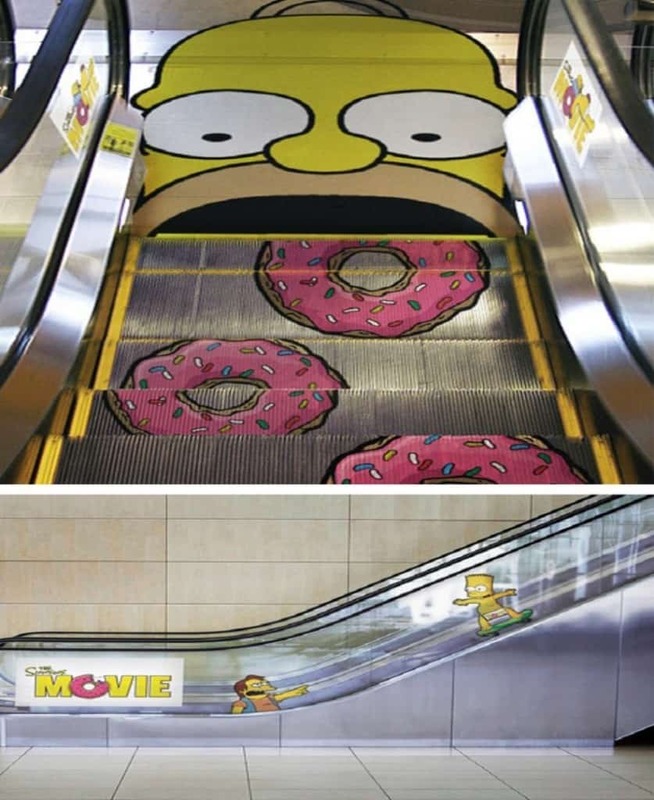 This ad campaign created by JWT makes it look like Sushi rolls are going past you in the escalator to spread awareness about their client. 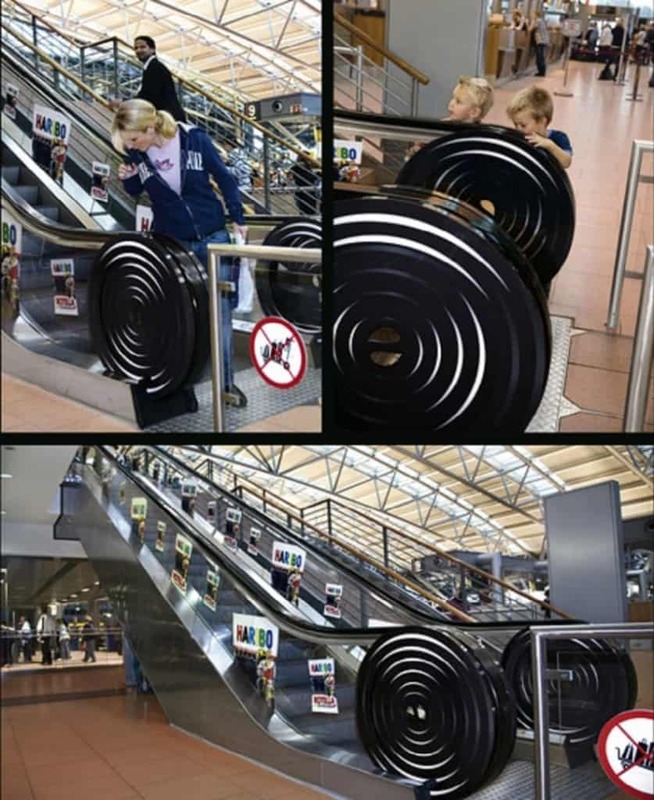 This ad created to spread awareness about the safety precautions one needs to take while using the escalator is extremely realistic. 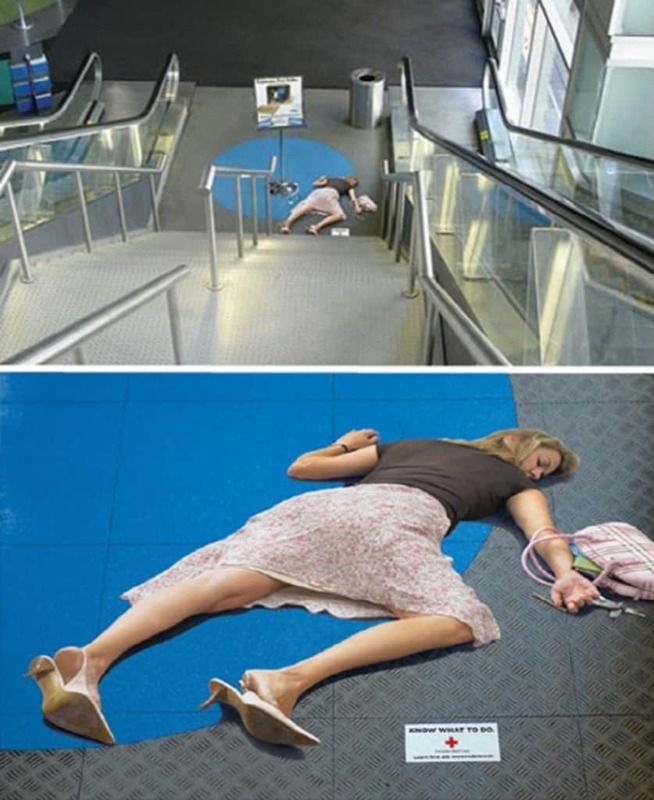 It is almost a bit too realistic, enough to make a person rush down the escalator to help the women.